← Please come to our 4th annual holiday Gallery Party! 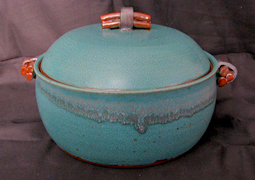 Local Medford potter Gail Barry will be selling her lovely pottery at the annual Mudflat Open Studio & Pottery Sale. The sale runs from December 5-14 and is located at the Mudflat Pottery School in Somerville.